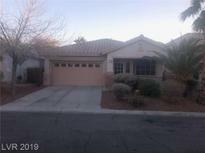 Below you can view all the homes for sale in the Heartherwood Summerlin subdivision located in Las Vegas Nevada. Listings in Heartherwood Summerlin are updated daily from data we receive from the Las Vegas multiple listing service. To learn more about any of these homes or to receive custom notifications when a new property is listed for sale in Heartherwood Summerlin, give us a call at 702-323-5933. Great Floorplan W/ Vaulted Living/Dining Room * Kitchen Island * Big Backyard (for Summerlin) * Upstairs Loft For That Second Family/Play Room/Office * If You Appreciate Clean And Well Maintained This Home Is For You! MLS#2086367. Real Estate By Design. Great backyard, shutters throughout, brand mew paint and carpet, community park and pool and so much more! This one will go QUICK! MLS#2075827. Realty ONE Group, Inc.
Willows Community Park with swimming pool and slide, softball fields & miles of walking trails across street from community. MLS#2064132. Simply Property Management. Professionally Xeriscaped backyard with water feature. MLS#2057727. Simply Vegas.